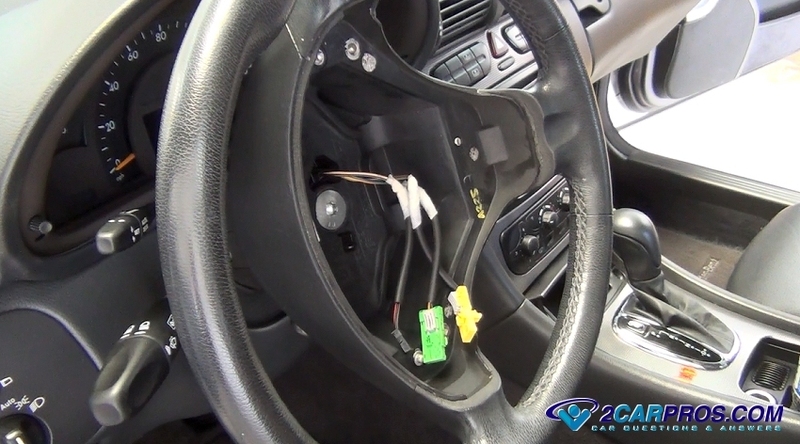 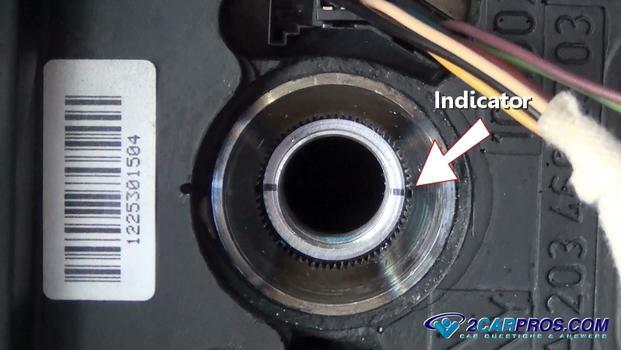 Easy to follow step by step guide on how to remove an automotive steering wheel (non puller style), though appearances may vary, the process is similar for most vehicles. Begin with the vehicle on level ground in park with the emergency brake set, engine "OFF". Step 1 - Start by removing the negative battery cable end to help prevent electrical short circuits while the job is being done. 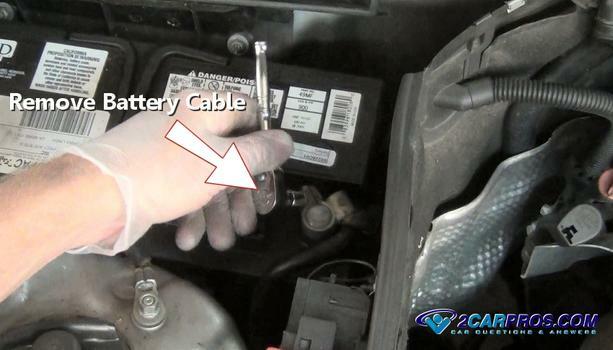 Please visit our battery cable removal guide for further instructions. 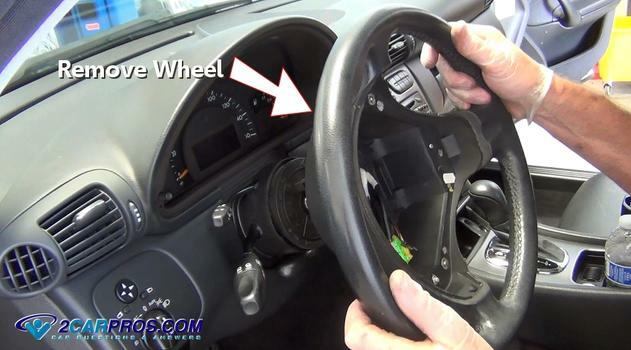 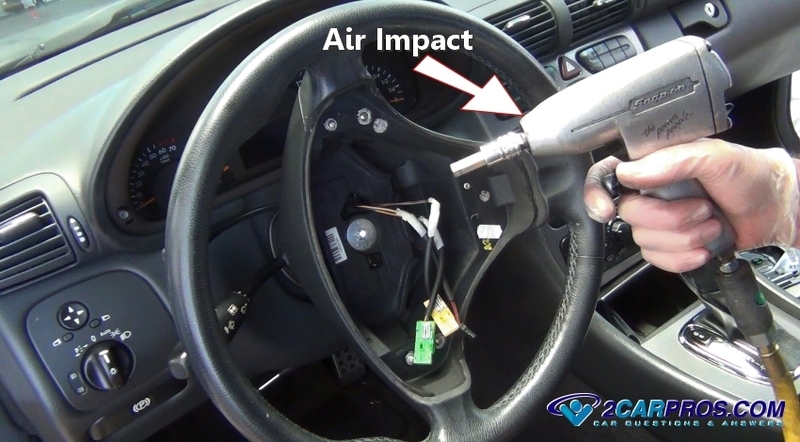 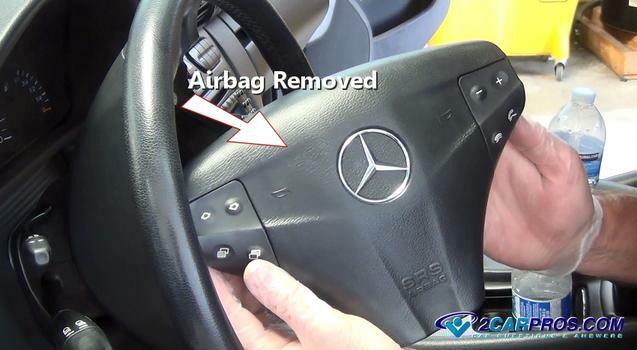 Step 2 - Next, the steering wheel airbag must be removed, please visit our airbag removal guide for further instructions. 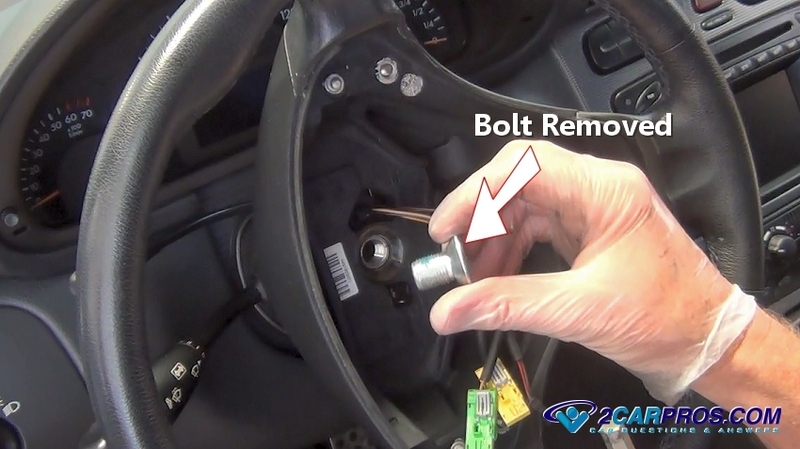 Step 5 - Loosen the bolt by turning it counterclockwise. 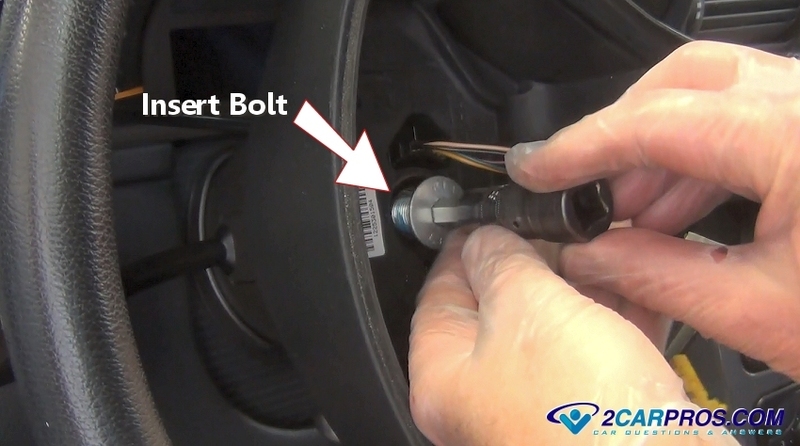 Step 6 - Once the bolt has been removed, inspect threads for damage. 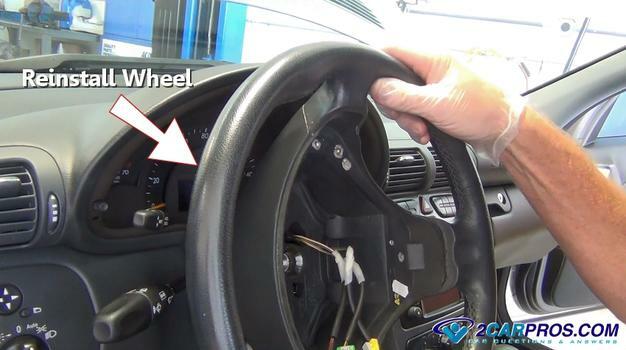 Step 9 - Once the wheel is loose, feed the wiring harness and connectors through access hole in the center of the wheel. 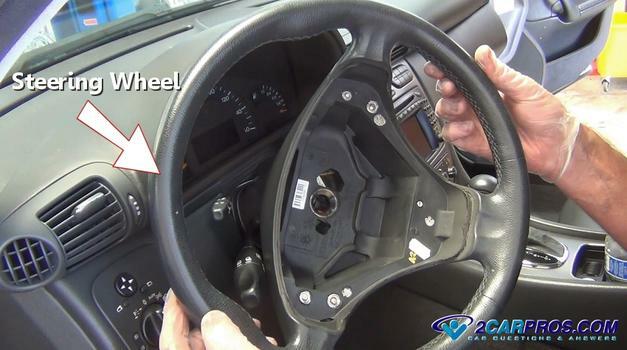 Step 10 - After removal inspect the wheel for damage, if you are replacing the wheel match it to the new unit. 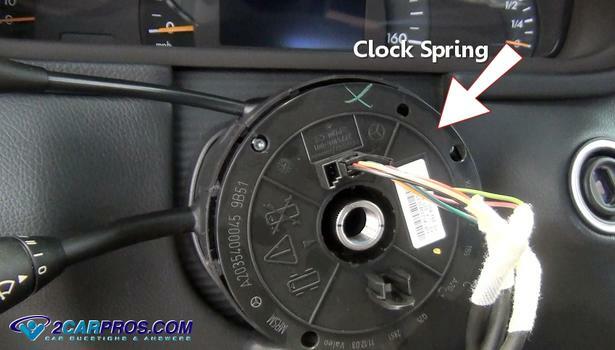 Step 11 - A clock spring unit is designed with a rap of wiring that is meant to follow the steering wheel as its fully turned in each direction, this unit must be handled with care and not rotated without the wheel attached to avoid damage. 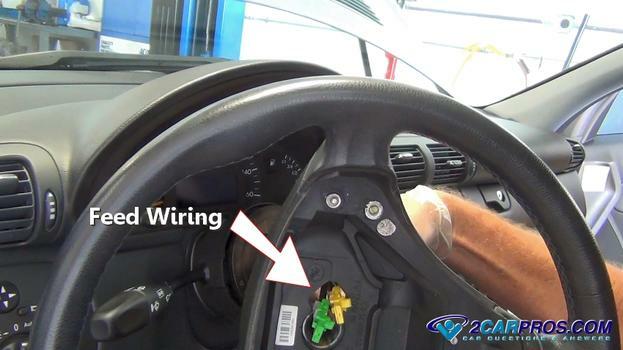 Step 12 - After repairs or replacement is complete and the wheel is ready to be installed gently feed the wiring and connector through the access hole in the wheel. Step 13 - While keeping the alignment marks gently place the steering wheel onto the column spline shaft. 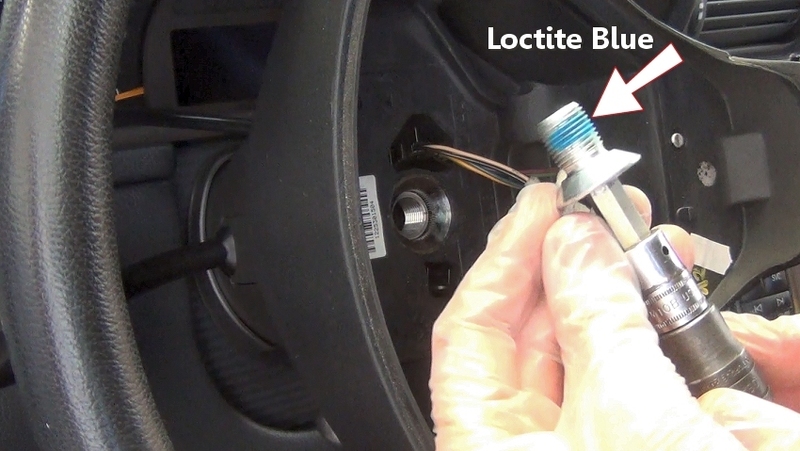 Step 14 - The indictor marking should be aligned to avoid the wheel being offset when driving straight. Step 15 - Apply a thing layer of Loctite Blue on the mounting bolt, this will prevent the bolt from coming loose. 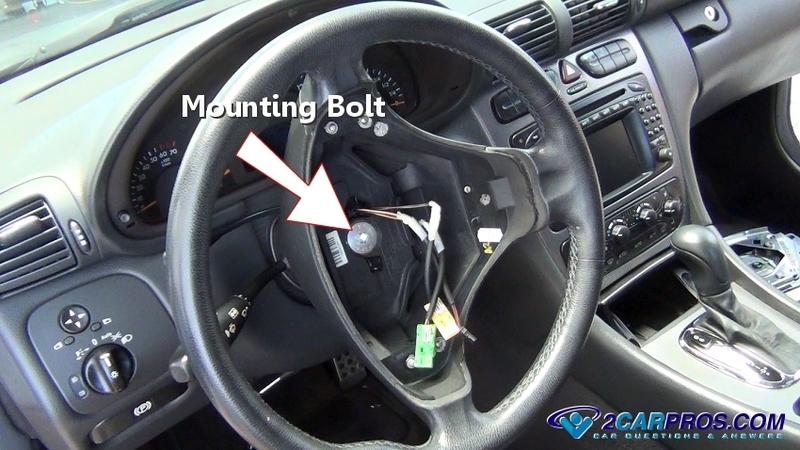 Step 16 - Insert mounting bolt by hand to avoid cross threading. Step 17 - Tighten the mounting bolt to manufacturer's recommendations (usually 50-60 foot pounds). 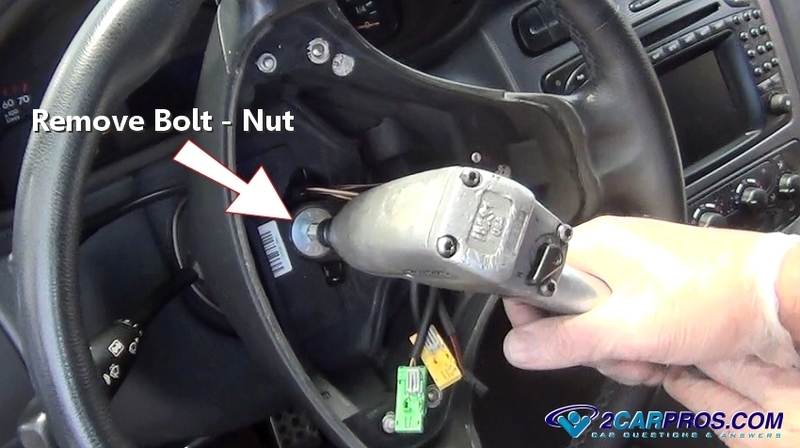 Step 18 - After the job is complete recheck wiring routing and bolt tightness.